Minecraft’s first ever Block Friday sale is underway, with over a hundred items on sale! You can find Worlds, Skins, Mash-Ups and Texture Packs from some of your favourite creators at 30% off, as well as two star items hitting the store each day for a massive 75% off! We don’t want you to miss out, so we’ve put together a list of the Noxcrew items that are on sale to make sure that you find what you’re looking for! You can view the full sale details at minecraft.net, or just open up Minecraft on your Bedrock device and click the store button. If you’re a Noxcrew fan, then you’re in for a real treat this week. Our best selling map Millionaire Mansions has 30% off, alongside some of our other favourites. Click the images below to see them on the store, or scroll down to read more about the maps that are one sale. We've put together a small world filled with Beverley Hills-worthy houses. 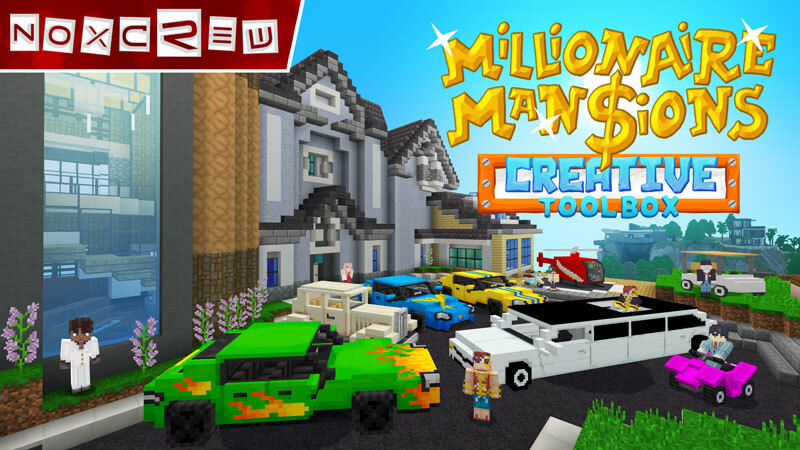 Millionaire Mansions is the perfect playground for aspiring builders to try out new building styles and a great place to roleplay with your friends. We've transformed Minecraft entities into customisable, drivable sports cars, helicopters, stylish furnishings and more to help you decorate your builds right down to the smallest of details. Comes with 10 free skins! 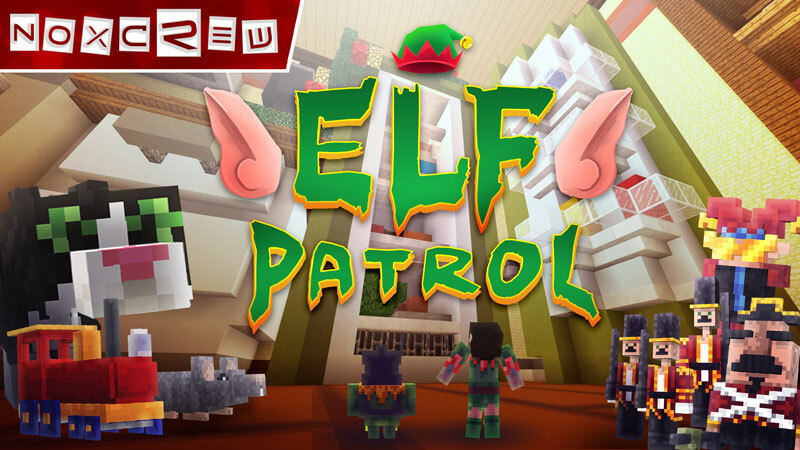 Get into the Christmas spirit with a Elf Patrol! A rogue elf is putting the Anderson's Christmas in jeopardy and we need your help to stop him. Complete your training and take on your top secret mission to put an end to Rogue's mischief and save Christmas. Enter this human-sized adventure as a mouse-sized elf to run, jump and fly your way through the house and complete your mission. Robo-Aliens have taken over the city and are ready and waiting to crush any measly humans that stands in their way. It’s time to show them who’s boss in your brand new explosive suit of armour: Destructobot 5000 and take down their Robot Generals in an attempt to save the world! 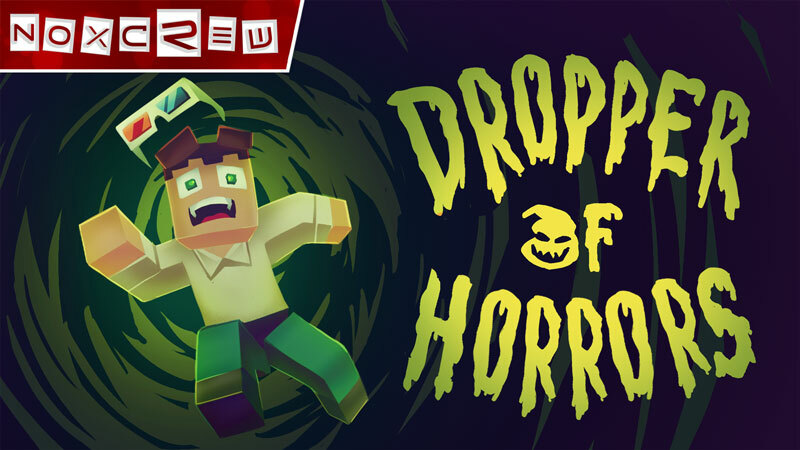 A Minecraft dropper map based on three original scary stories, set in a haunted movie theatre. While our favourite voice actor and story teller tells you some spooky tales, you can drop or parkour down each of the ten tunnels, grabbing collectables on your way. Three tales await you, with three tunnels per plot. Choose your story and make your drop! Enter a small world filled with beautiful castles in different fantasy realms to inspire you and added dragons and other custom models that will make you feel like you're in the midst of a fairy tale. We've built strongholds, towers, the most glorious premium castles, and transformed mobs into carts, thrones, flagpoles and more to help you decorate your builds right down to the smallest details. Comes with 10 free skins! Spend a cosy weekend up at the Frosty Mountain Lodge with a new mini-golf course, speed sledding, the grand ice castle and more, in the fourth in our best selling mini-game series! Play our six custom mini-games with your friends and family, earn emeralds and explore the park to find hidden secrets. Click here to see the full list of items that have 30% off!